The green ray is a rare natural phenomenon that happens at sunset. In quiet, clear weather at sea, sometimes you can see, as at the moment when the sun is hiding behind the horizon, a green ray lights up in the sky. One of these places is the Kinburn Spit (Mykolaiv region). This paradise is washed by the sea from one side and by the Dnieper bay from the other. How beautiful the sun goes down there! The sky blazes of red, orange, pink, purple, and then flows into the crimson sea by lava of molten light. The sky is changing in bright colors - from amber to cherry: this show lacks only a sound series to become light-music. Clean, not distorted by civilization natural colors. At the right time and in the right place, the last glint of the setting sun will flash green. If somewhere you can believe in a green ray, it's only here. The current peninsula (40 km in length and up to 10 km in width) was once an island known to Phoenician merchants and pirates. He was remembered by the ancient Greek historian Herodotus, who traveled here in the V century BC. "The land under a thick forest" (ancient Greek - Gilea) was also known by the inhabitants of Olbia (VII-VI centuries BC). They considered it sacred, which did not prevent to cut down all the forests on the peninsula. There were the trade routes of the Old World. In 972, returning from the Bulgarian campaign, the prince of Novgorod and Kiev Svyatoslav wintered on the peninsula. There are many legends about this land. One tells about it as the land where the Gods lived. Another - about the Amazons, who lived under the laws of matriarchy and sacrificed men, until they were defeated by Heracles. There is also a legend about the Scythians who performed ritual ceremonies here and even hid gold. The sandy lands of the peninsula are covered with steppe vegetation and planted with coniferous trees - Crimean and common pine. 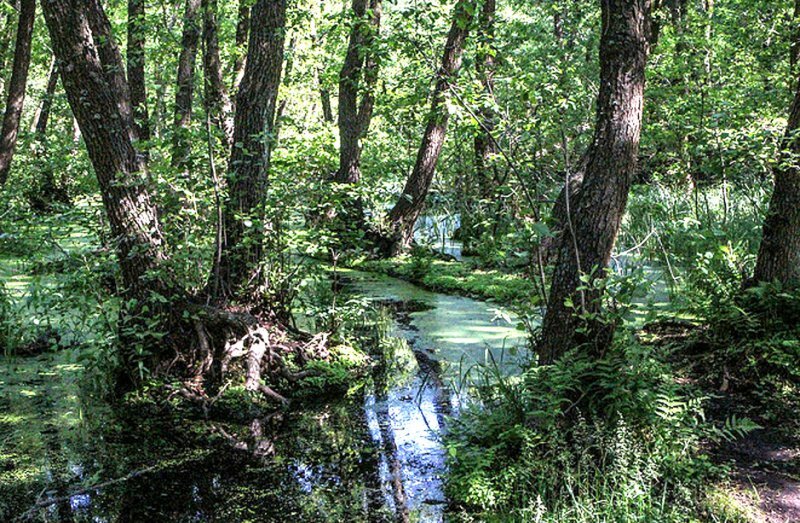 In the waterlogged lowlands there are remnants of relict forests - oaks, birches, willows, alders. In the spring, the eyes are pleased with a hectare of orchids. 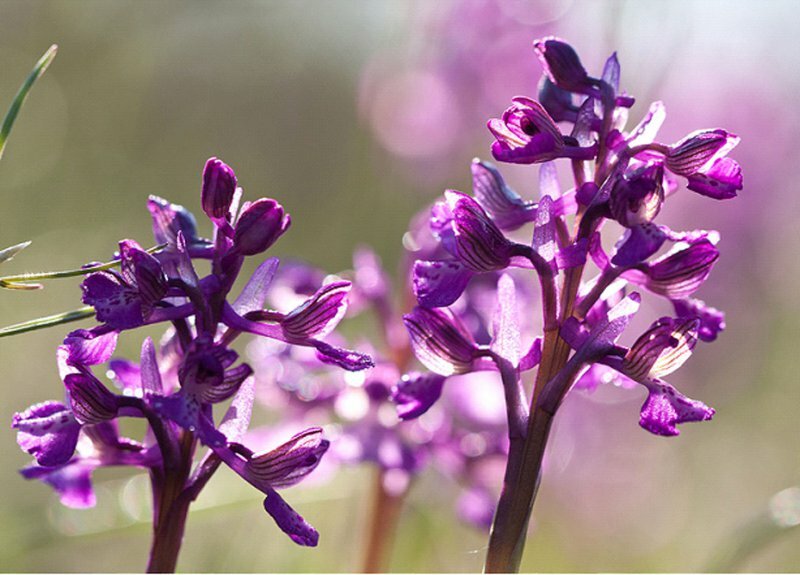 This is one of the largest areas of wild orchids in Europe with an area of about 60 hectares. The lowest place of the Kinburn Spit is Herodotus forest: marshy shrubs, emerald shades, coolness and twisted, moss-covered tree stumps. Here you can imagine even the mermaids with the foresters, or Alyonushka with a goat. 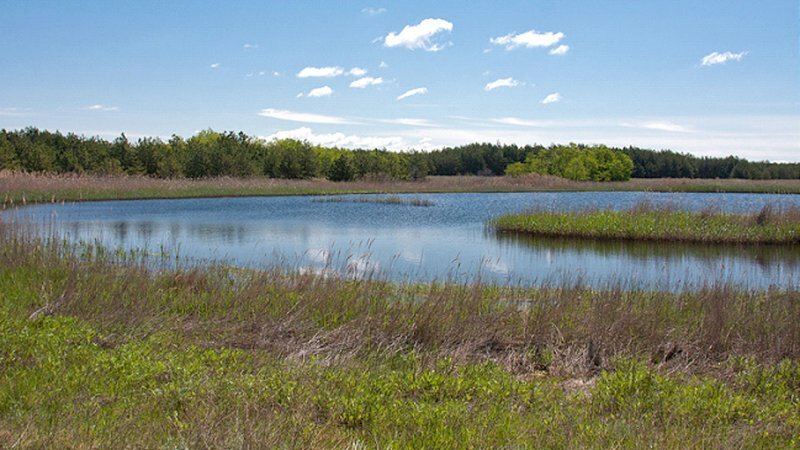 On Kinburn there are more than 300 lakes with fresh and salty water, where can be found small things and birds’ nests. Some are full of healing mud, there are deposits of blue clay. Most have access to the sea, shallow (up to 1.5 m), well warmed up. Some closed salty lakes are the source of the medical marine salt. In hot weather, the water evaporates, forming a layer of salt. Lakes with fresh water are fed by atmospheric precipitation or groundwater. There nest all kinds of water and roundworm birds. Heavy unhurried pelicans fly like bombers. 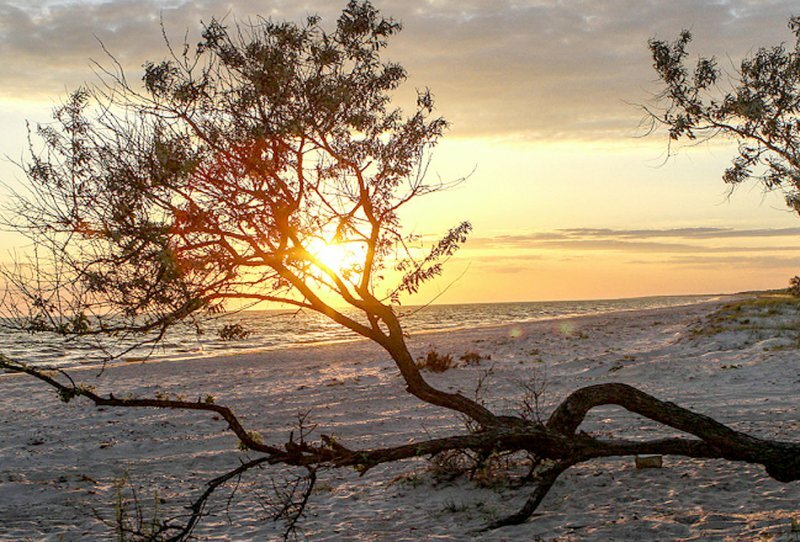 The most important treasure of the spit is the beaches. The fine sand and the sea extend for many kilometers. In general, Kinburn is a great place for a leisurely, meditative rest without a crowd, far from civilization.